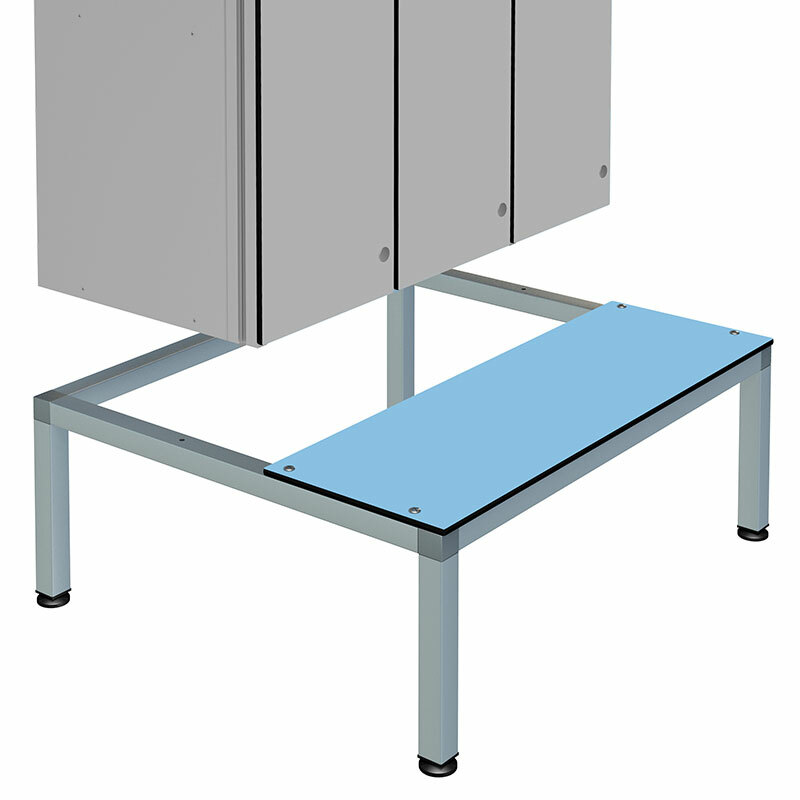 As a combined seat and stand, this product, designed for use with Probe Zenbox lockers, does the twin jobs of providing seating and raising your lockers off the floor. The advantages of lifting the lockers off the floor are to eliminate the risk of them sitting in water and to reduce damage and scuffs caused my careless feet. The advantages of providing seating is fairly obvious, but include not having people fall over when they are standing on one leg trying to put a sock on.